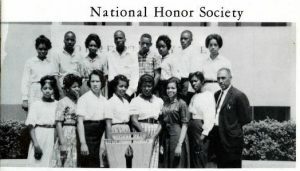 Group portrait of students in the National Honor Society from “The Trojan” 1963. Four yearbooks from Torrence-Lytle High School, provided by Davidson College, are now available on DigitalNC. Torrence-Lytle High School opened in the fall of 1937 as Huntersville Colored High School. In 1953, the name was changed to honor two men who helped initially establish the school. Franklin Lytle was born a slave but became a prominent farmer and educational advocate, and helped acquire land for Huntersville Colored High School. Isaiah Torrence, also a farmer and a proponent of African American education, helped raise money to build Huntersville Colored High School. Torrence-Lytle High School was closed after the 1966 school year due integration mandates, and all of the students were reassigned to racially integrated schools. 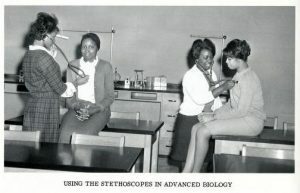 Students in Advanced Biology class from “The Trojan” 1966. The yearbooks available are from 1958, 1963, 1965, and 1966. Included are pictures of graduating seniors, class portraits, clubs and activities, sports teams, superlatives, classroom scenes, and a few candid shots of student life. 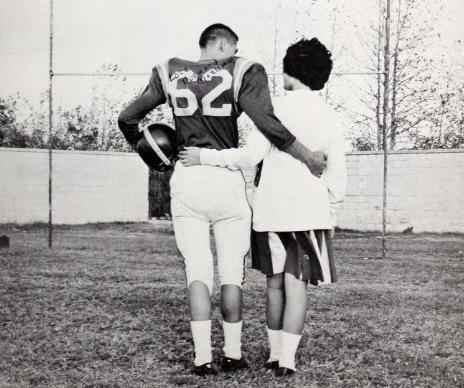 These yearbooks provide an interesting look at an African American high school moments before integration. Like all of the yearbooks on DigitalNC, they are fully text-searchable. 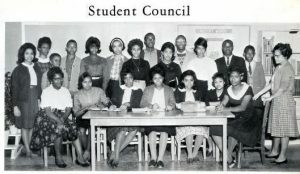 Group portrait of Student Council members from “The Trojan” 1963. To see more contributions from Davidson College, including other yearbooks, visit their partner page, and to learn more about Davidson College, visit their website. 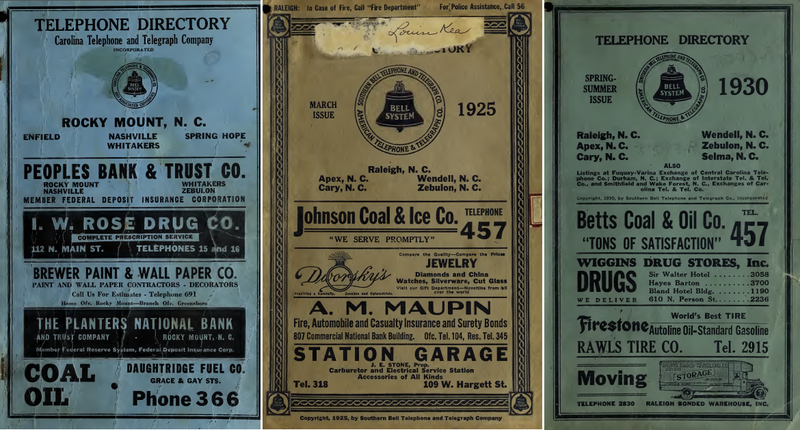 Thanks to our partner, Braswell Memorial Library in Rocky Mount, DigitalNC has published a number of new materials in the North Carolina Memory Collection. Included in this batch are several cooking related items. 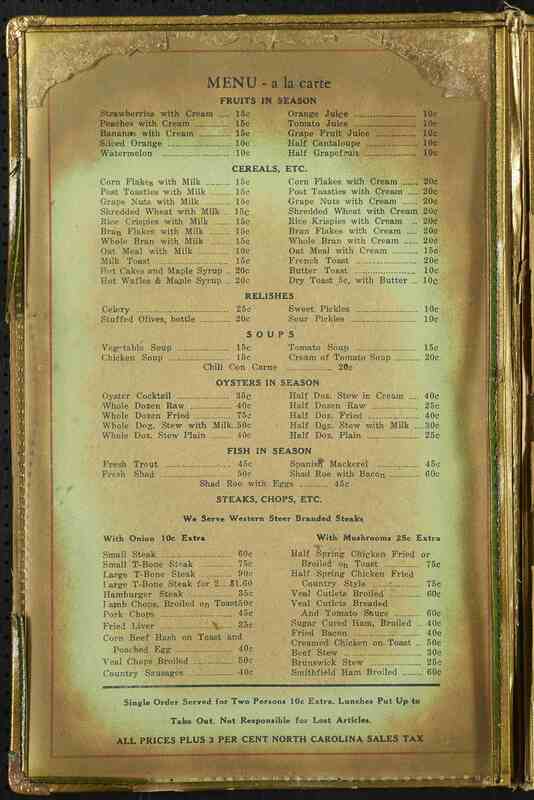 A vintage menu from the Royal Palms Restaurant in Rocky Mount documents the variety of prices and meals available at the local establishment. This item is a unique addition, as DigitalNC only has three published menus on the site. If you are more interested in doing some cooking of your own, check out the Kentucky Cookbook from Bygone Days. 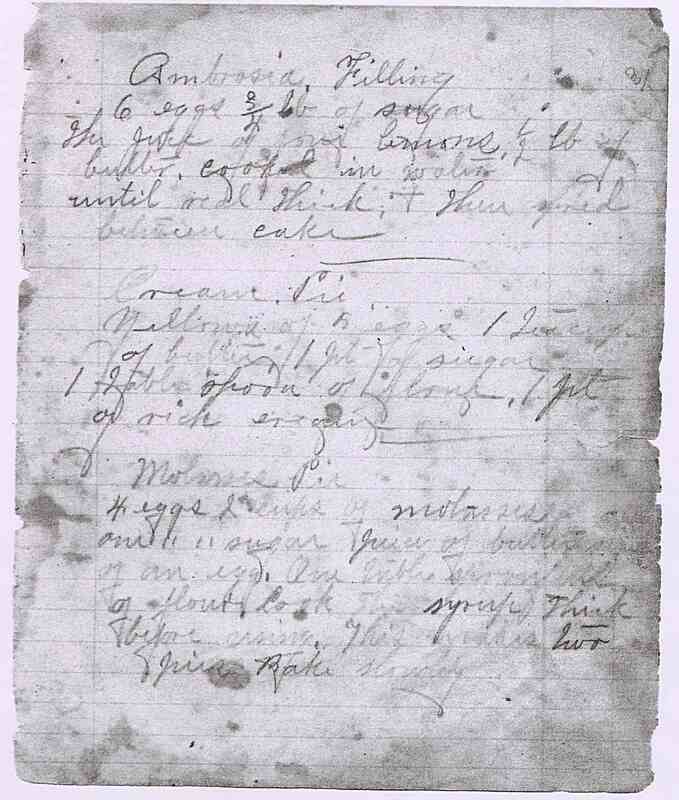 This unique item was transcribed from an 18880’s collection of recipes created by several women with connections to North Carolina. The recipes are included along with descriptions and family histories, adding some depth and context to the cookbook’s entries. Try your hand at making some nineteenth century ginger pudding or molasses pie! 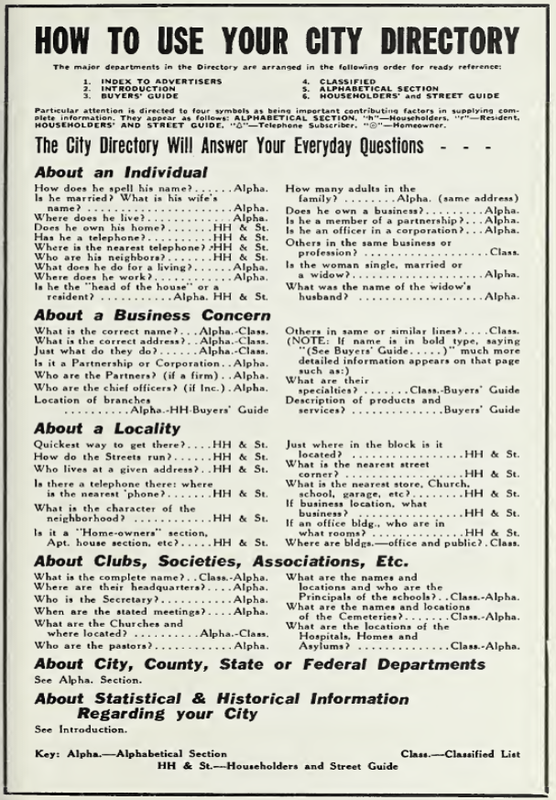 Also in this batch are nearly seventy issues of “The Connector,” the newsletter of the Tar River Connections Genealogical Society. The Connector contains articles from members of the society, detailing their research in family and local history. They include many maps, rosters, names, dates, and other information that could be useful genealogy research–all aggregated in one place. These newsletters are full-text searchable, allowing researchers to easy search through the nearly 1200 pages of material. You can view all of the newsletters from Braswell Memorial Library at the following link. To learn more about Braswell Memorial Library, please visit the contributor page or the website. 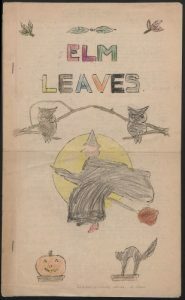 To see more items like these that are digitized and available on DigitalNC, please visit the North Carolina Memory Collection. Digitization is faceless work – you rarely see the hands that carefully place fragile scrapbooks under the camera and click capture, or hear the voices debating the best description of that great photograph a partner sent us. And we don’t stick a price tag on each item, parsing out how much our funders contributed to get that item online. So today’s post is about two things I think don’t get noticed often enough. The first thing is money. 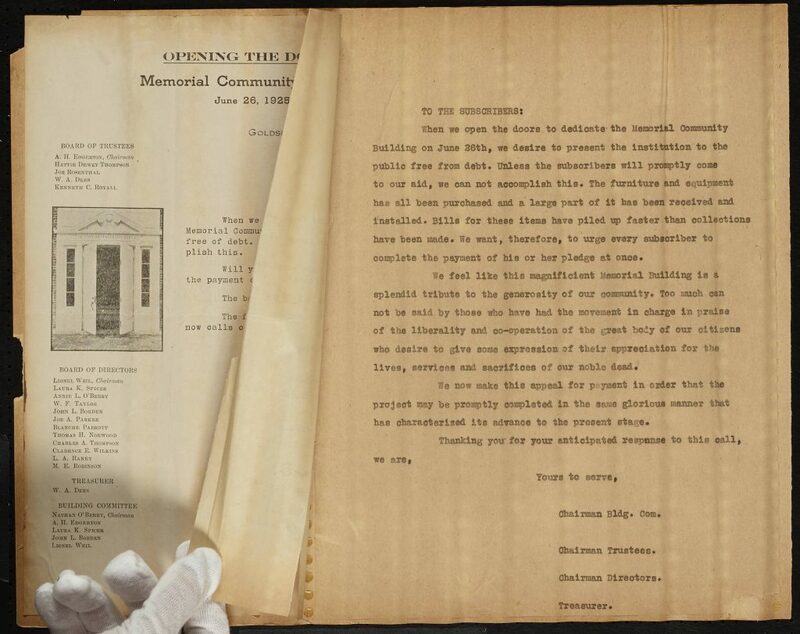 All of the accomplishments of the Center have been supported in very large part by the Institute of Museum and Library Services, through Library Services and Technology Act funding disbursed by the State Library of North Carolina. 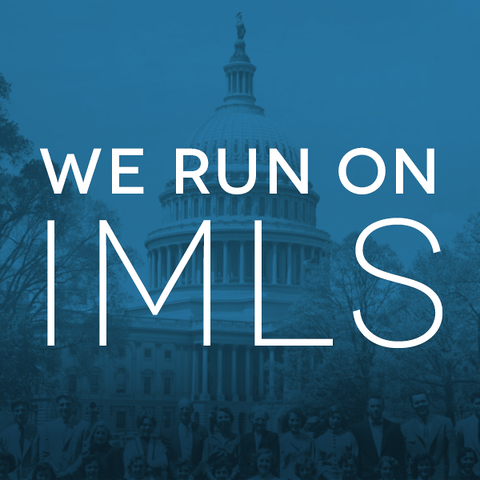 In other words, we run on IMLS. Digital libraries often include funders in footers or on “About” pages, but I decided to take this opportunity to bring it up front. Together, IMLS, UNC-Chapel Hill, and the State Library of North Carolina are the why, how, and whether DigitalNC exists. The power of this funding partnership is in its efficiency, its statewide view, and the way our work boosts what’s being done by counties and towns in their local institutions. It’s how our partners supercharge their collections, moving them beyond shelves to your screen. And we really hope it sticks around. A rare shot that includes the gloved hand of a student worker as they gently lift up a document to capture the letter underneath. The second thing is people. Behind each of the hundreds of thousands of images on DigitalNC.org are multiple individuals from multiple communities, who want YOU to see, share, build upon, question, and participate in North Carolina’s culture, wherever you are. These are the caring librarians, archivists, curators, or history-minded individuals with a passion not only for preserving their community’s history but also for giving that history legs. These are the full-time NCDHC staff who answer questions, juggle schedules, write code, and try to best serve users. These are the 20 student workers who have scanned, and scanned, and scanned over the last six years, whose professional development we have fostered and who were exposed to information-rich, quirky, poignant, and various special collections from all over the state. Our goal is to make the materials front and center so you don’t see us or think about us. But next time you find that great article on your hometown’s history, we hope you’ll think about who helped get it there and the funding it took to make it happen. 5 scrapbooks from the Heritage Research Center at High Point Public Library are now available. These intricately constructed scrapbooks are packed full of articles from newspapers published in the Piedmont Triad (the areas in and surrounding Greensboro, Winston-Salem, and High Point). 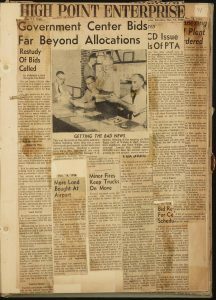 These scrapbooks hold articles from 1955-1959 and recount local news stories. Each page contains a matrix of carefully placed news clippings that are often overlapping or folded. Multiple images of each page were digitized to capture the full text of as many articles as possible. 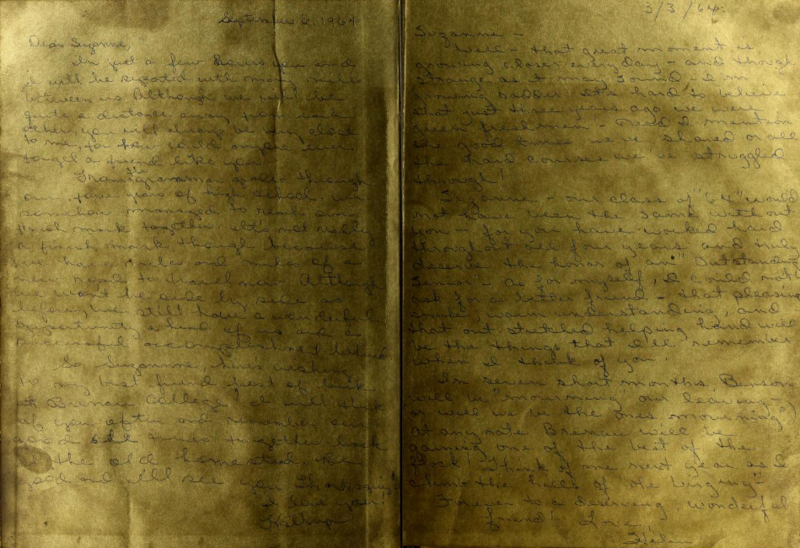 These scrapbooks were hand-indexed by the compiler and are now fully text searchable as well. Some of the newspapers represented in these scrapbooks are the High Point Enterprise, the Greensboro Daily News, and The Beacon. A page in volume 40 contains a variety of articles from the High Point Enterprise concerning municipal issues. 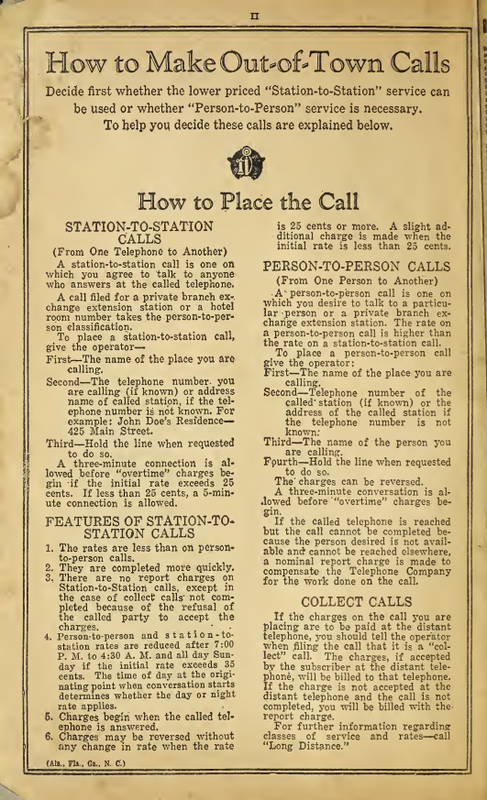 Multiple images of this page were captured so more of the articles are readable. 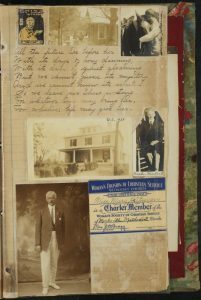 These scrapbooks join several previously digitized High Point scrapbooks. To view these, and other materials from the Heritage Research Center at High Point Public Library, view their partner page, and take a look at their website. DigitalNC is happy to welcome a new partner– the Anson County Historical Society! The Anson County Historical society is an organization devoted to providing access to Anson County’s rich history through educational, cultural, and recreational resources. 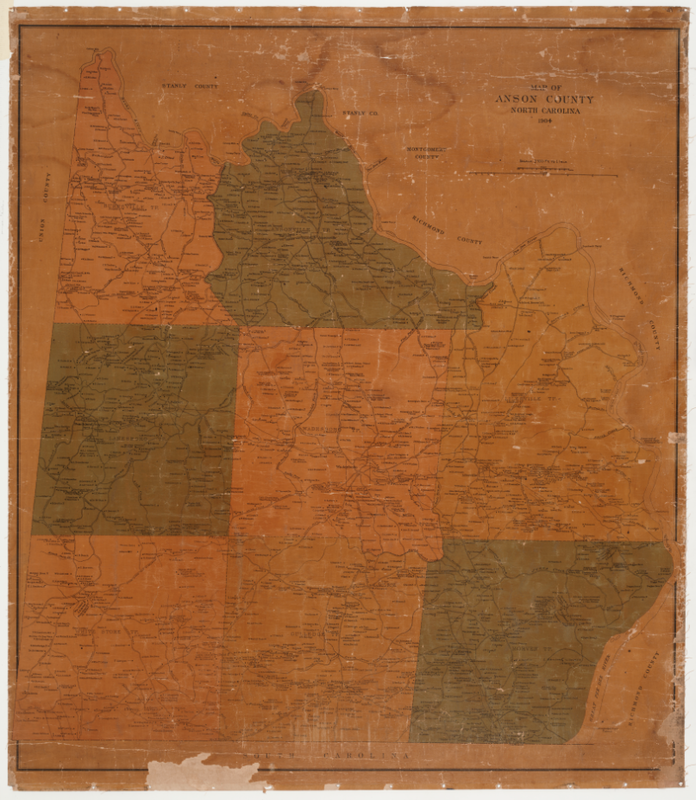 This includes the preservation of physical items, like this map from 1904. An excellent resource for genealogists or local historians, this map documents family names and property locations in addition the other intricate details, like schools, cemeteries, businesses, railroads, and homesteads. Maps with this much detail are rare and serve as excellent research tools. Our partner, Benson Museum of Local History, has contributed two more yearbooks that are now available online. These yearbooks detail the lives and activities of students from Benson High School in Johnston County. This high school has regularly demonstrated creativity and character in its yearbooks and these do not disappoint. Resources like these are great tools for genealogical research and lesson planning. They could also serve as vintage look books for those interested in the fashion and hairstyles of the 1960’s. condition. Both of these editions of the Tatler are well used and contain the many handwritten notes by the original owner and friends. 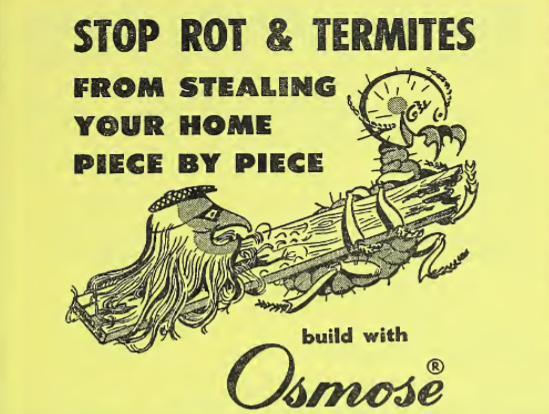 The 1964 copy contains notes on nearly every page! 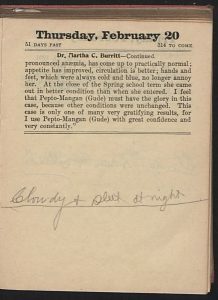 Many of the yearbooks that our partners contribute are in pristine condition, serving as excellent original documents; however, these copies from the Benson Museum contain the life and character of their owners– a unique aspect for digitized archival collections. The image pictured at the top is an example. You can learn more about Benson High School and the Benson Museum of Local History by viewing the contributor page or the website. To see more high school yearbooks, perhaps from your community, please browse the North Carolina Yearbooks Collection and limit your search by High School Yearbooks.